It’s planting season in the jungle! The time has finally come to plant all of those palm trees and bushes. First though I’ll need to recycle the old trees. I started by cutting the old trees off of their bases. 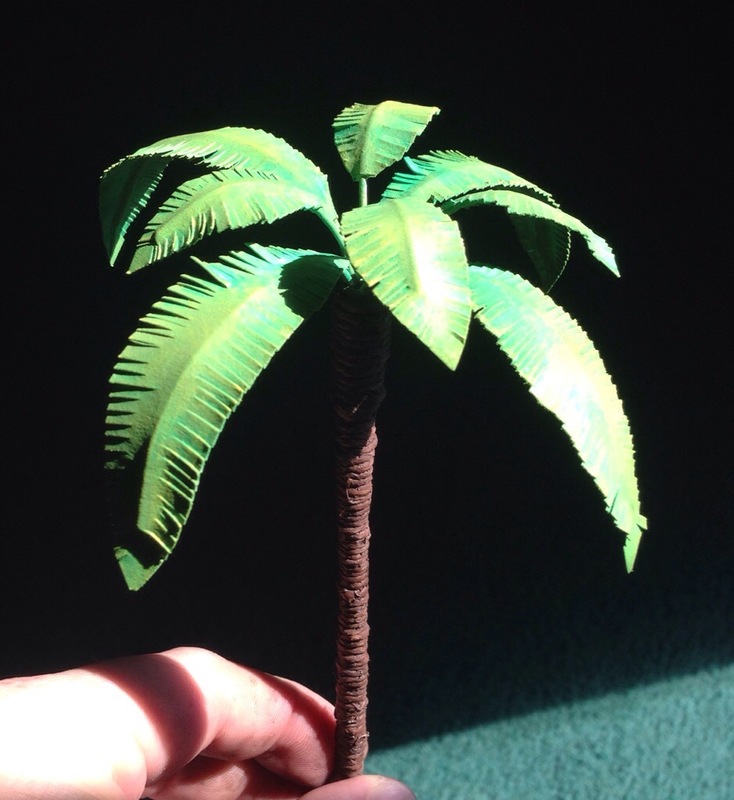 Over the years, I’ve made quite a few palm trees for wargaming. And over time, my methods and madness have changed leaving me with a variety of palm tree construction styles. They are all basically the same but with subtle variations. I plan to use as many of the older style palms as I can for this project but still have the bases blend well with the current style trees that I have been making more recently. 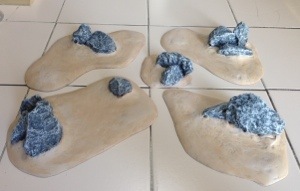 After a few hours of off and on work, the bases for the jungle are ready for foliage. 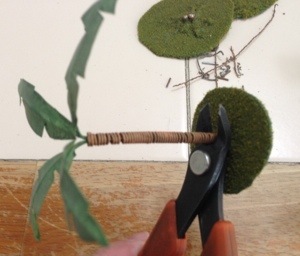 It’s time to upgrade my jungle terrain! 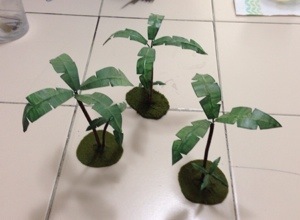 My current jungle terrain consists of palm trees on individual bases.